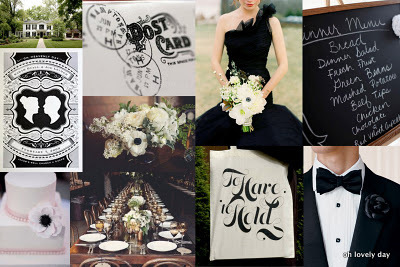 There are tons of people out there that dream of a classic black and white wedding. Sure, it can be beautiful, but that is if it’s done right. Every designer has their own opinion of what looks good and what doesn’t so this is clearly my own. I try to inspire people with unique ideas and push them to customize their personal spaces and events so it represents them. Hopfeully resulting in great design. We all know Kim Kardashian recently got married. Her wedding was a huge event that cost way more than I will make in 3 lifetimes. I guess since she had endless funds you would expect her big day to look spectacular. I think it was the opposite. First of all, there was nothing done that was special or unique. Second, there was way too much of everything. Totally overdesigned. Third, from the photos I saw it looked kind of boring. Those are three things a wedding should not be. 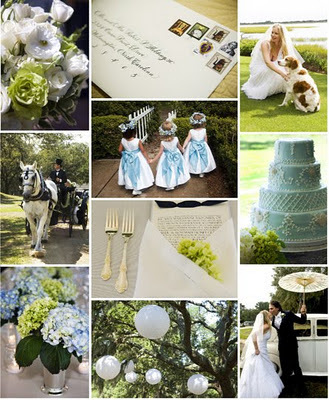 And what ever happened to the romance and intimacy of sharing your vows with the one you love? Obviously, that wasn’t on Kim’s mind. Here are a few elements of her day that surely didn’t inspire me. 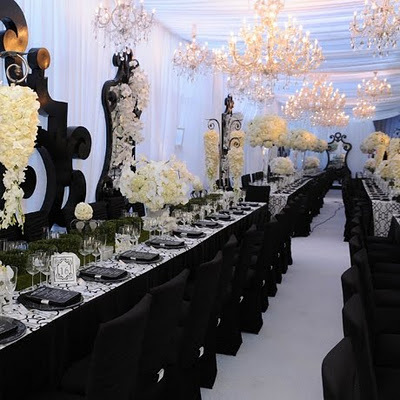 Even though this was a black and white wedding, I feel the black overpowered the white immensely. It makes everything look so dark and masculine. The seating area looked like an event for a mens magazine more than a wedding. The ivory bouquets just fade away and its too bad because they were one of the very few elements that were actually pretty. I’m not a big fan of big and tall centerpieces but as long as people can see each other and talk its not the worst it can be. Unfortunately, what was done here just added to the abundance of overapplied design. How many chandeliers can you have before the whole place looks gaudy and old fashioned? Less than what Kim had for sure. These were over the top and unessasary. None of it looked classic at all. 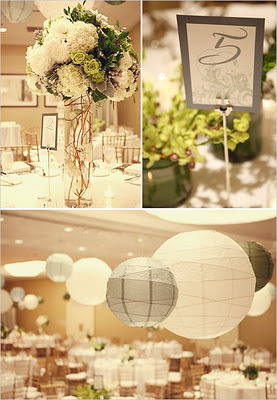 The tables had so much stuff on them I wouldn’t be surprised if the guests felt a little claustrophic. The first thing I noticed about the photo below was the table card. It looks like clip art and somewhat cheesy. Again, that unique artsy design element was nowhere to be found. 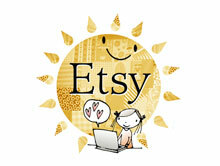 On paper elements such as invites, seating cards, etc…is where your creativity can soar. But I guess if you’re not creative or have a good designer doing the work, it just won’t be successful. 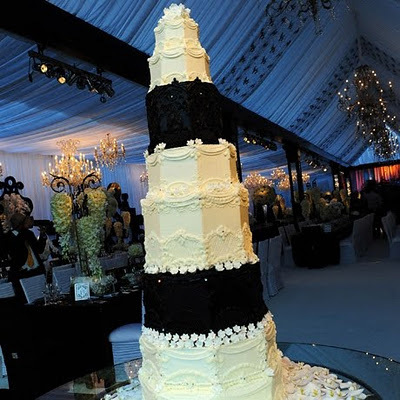 And then we get to the wedding cake. Granted, you don’t have to have one. My fiance and I are having cupcakes instead because they are more our style. Plus, a little more fun. 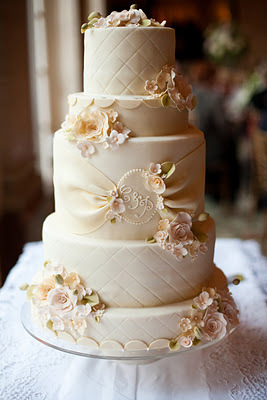 However, you should want your cake to match the style of the event which Kim did do. Unfortunately, this was a disaster as well. Personally, I don’t like when people think they are king and queen status. This cake was friggin huge. But at least it could’ve looked somewhat beautiful if it was all white. Those two black sections just ruin the whole thing. 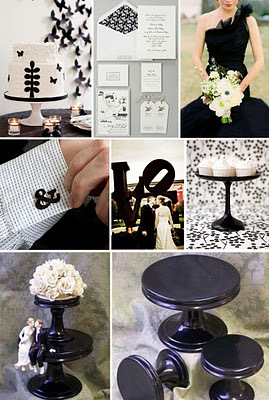 A better way to incorporate the black is to use it for the ornate details which was actually quite gorgeous. It would of made them stand out more without being so overdone. So, to sum it all up: Never have too much of something. 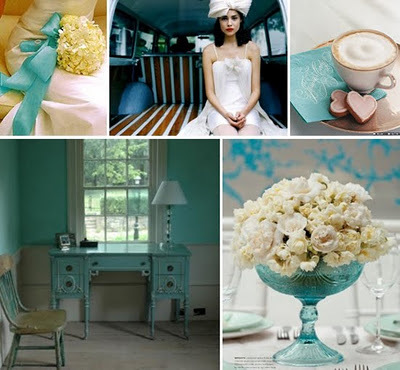 Regardless of what you think or like, it will look overdone. Just because you love a certain pattern or color doesn’t mean you should see it everywhere. 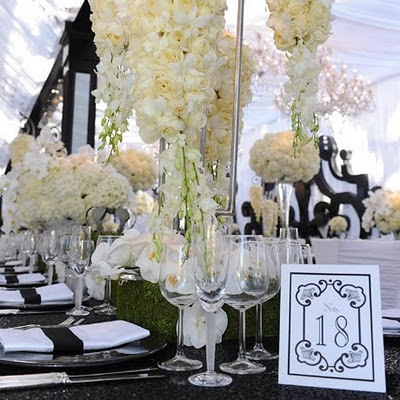 Why suffocate your guests with an overabundance of one element when you can incorporate numerous ideas into your design. It will only reflect your creativity. Also, remember that classic means clean lines and smart design. 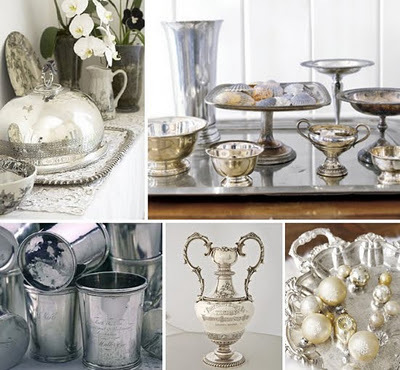 You can have a luxury feel at your event without going overboard and looking gaudy and old fashioned. And you can certianly have a classic feel without it being black and white.